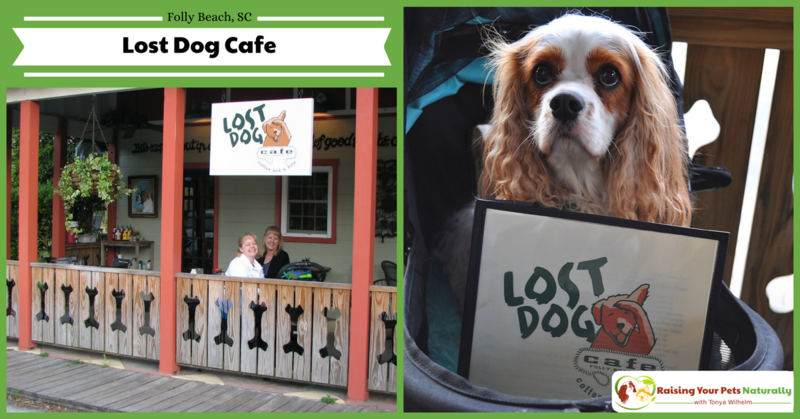 When the family headed to Folly Beach, South Carolina, we knew we had to visit The Lost Dog Cafe. I mean, how could a dog adventurer like Dexter not eat at an outdoor cafe that loves dogs?! We stayed in a dog-friendly cottage in Folly Beach and were just down the road from The Lost Dog Cafe, so we checked it out on one of our first days. This quaint dog-friendly cafe was a great, laid-back beach cafe. Affectionately referred to as “The Dog,” this pet-friendly restaurant really felt like home. The staff was extremely friendly and welcoming to Dexter, and even encouraged friendly mingling. The Lost Dog Cafe is open for breakfast and lunch 7 days a week. And the menu? The large menu offers something for everyone. Order a huge breakfast burrito, bagel sandwich, fish, wrap, salad, shrimp and grits, or my favorite, a mouthwatering cinnamon roll. You knew I would eat something sweet—I do love my sugary foods. Don’t forget about the drinks. They offer custom blends of coffee roasted specifically for The Lost Dog Cafe. If coffee isn’t your style, you can try chai tea, hot chocolate, or fresh lemonade. During our week-long stay, we became regulars at The Dog. And just how did they come up with their name? When the owners were creating the cafe, they didn’t know what they were going to name it. Their dog, Hocus, ended up taking off and disappearing for a while. When Hocus returned and was bounding toward home, the name clicked and their logo was created. I’m obviously so happy Hocus found her way safely home. 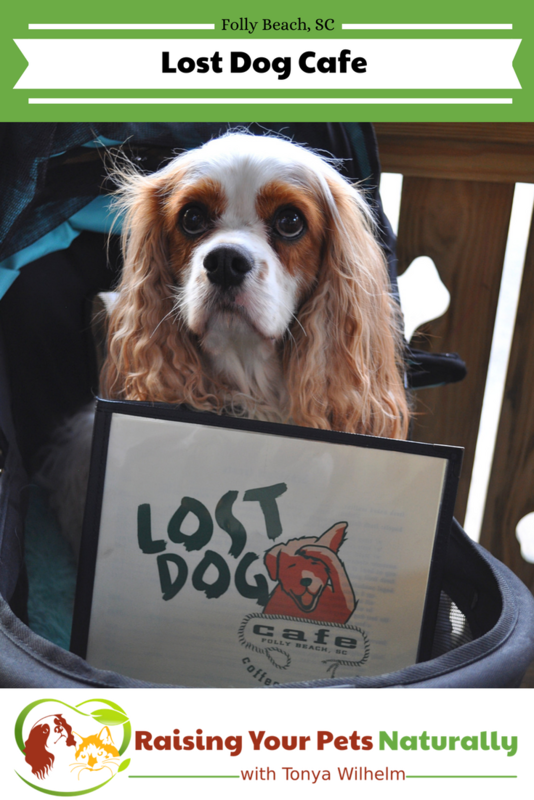 The next time you and your dog are in Folly Beach, you need to check out The Lost Dog Cafe. And they even have a wall of dogs and gift shop! 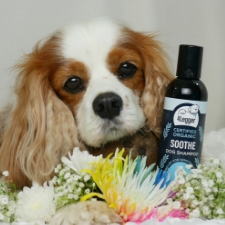 Do you take your dog to dog-friendly restaurants or outdoor cafes? Tell me in the comments. This sounds like such a nice cafe to go and stop at with your pet. I could imagine just going to sit and dog watch as people stopped by as well. 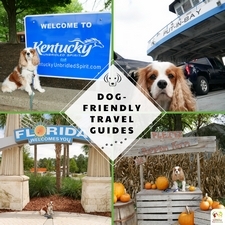 It must be very nice to know you can take your pet on vacation with you and that they will be welcome and well accommodated. Thanks Stacey. It’s so nice and appreciated that cafes are so welcoming to all of our family members, including our dogs. I love that they are dog friendly. That way you can travel with your best friend. Me too. The Lost Dog Cafe was such a great experience. isn’t this so cute and very practical too! I think more café like this to open as im sure there will be a lot of cute customers! Agree! The Lost Dog Cafe was such a great spot. We did get to see a lot of cute pups. I love dog friendly restaurants! I always want to take my dog with me when I go out! I’m glad they found Hocus! Isn’t that a neat story? Me too. Very scary. I love these places where you can chill with your dog. I would love to visit a place The Lost Dog Cafe! Need to visit South Carolina as well. Thank you for sharing! Hi Candace. Me too. And South Carolina is a lovely place to visit. What a wonderful place to visit! We find it really hard to find places where we can take our dog with us whether it be home or away… I’d love to go somewhere like this! Thanks. Yes, such a great cafe and amazing food and atmosphere. I really appreciate this blog. Sometimes we’re not able to get someone to watch our dogs and it’s nice to know that there are places that would allow them, should we travel. Thank, you Brittany. 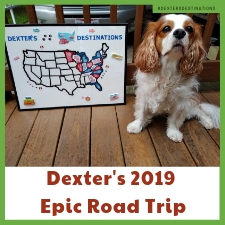 It’s so nice to travel with Dexter and share our adventures. I’m glad you enjoyed it. I love dog friendly place and even in our country there are many cafes are allowing pets. And they have extra space for pets for some outdoor activities. That’s fantastic! I love hearing that. What a cute cafe. 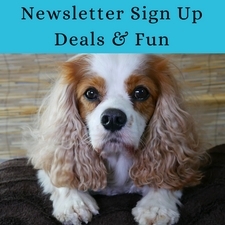 It sure sounds and look like the perfect place to hang out and mingle with other pet owners. The Lost Dog Cafe was such a great spot! I can’t wait to go back. It looks very cool! I don’t have a dog. But I will share this with my sister. This looks like so much fun! We have a Siberian Husky and would love to travel with her. Siberians are beautiful dogs! 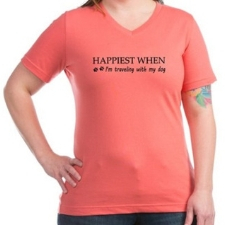 Oh, I hope you start traveling with her. It’s such a great experience. This is such a good idea. In fact I’m seeing a few of these scatter around over town. I’m loving this kind of place so I can take my dog there and enjoy my Sunday afternoon. Super! Awesome! Taking dogs on adventures is the best.